1. Turn on your Triton Connect and Triton units. 2. Enable your Bluetooth on your tablet (located in the Settings for both iOS & Android). 3. Place your Triton Connect in a high and open area, in sight of the Triton units while they're in the pool. 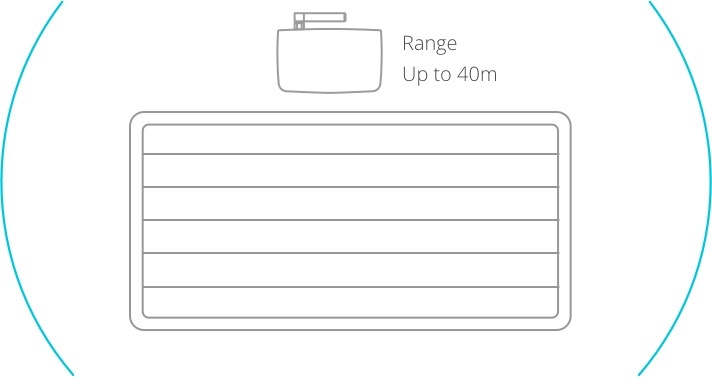 See ideal layout below. The Triton Connect should be placed at a height that will provide a clear signal with the Triton units. 4. Log in to TritonWear Live (mobile app) on your tablet and follow the steps to start a new workout. When the lights on the Triton Connect turn red, it means that the Triton Connect is connected to your tablet. NOTE: If you are having trouble connecting your tablet to the Triton Connect, go to the Settings page from the main screen and rescan for devices in the Connectivity section. 5. When a Triton unit is turned on, it will automatically try to connect to the Triton Connect. When the lights on the Triton unit turn red, it means that the Triton unit is connected to your Triton Connect. 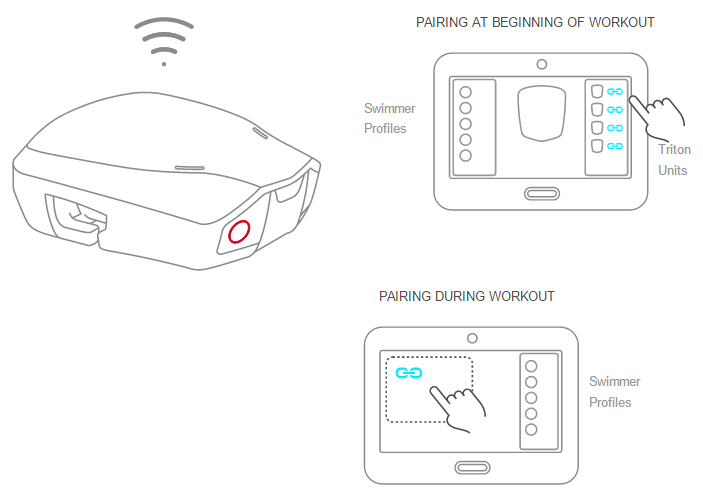 Start a new workout and pair the Triton unit with one of your swimmers. Repeat this step for each Triton unit you want to use during the workout. 6. Create or modify training groups for your assigned swimmers.